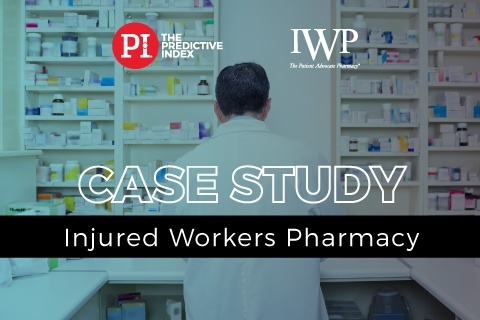 Learn how Injured Workers Pharmacy achieved better hiring, lower turnover, and increased promoting from within by using PI. Injured Workers Pharmacy (IWP) is a national pharmacy service working as an advocate for injured individuals. IWP takes the financial burden out of the prescription process by shipping medications directly to patients and collecting payment from insurance companies. There are minimal out-of-pocket expenses for the patient, physician, or attorney on approved claims. IWP reduces the time and energy spent on prescriptions and paperwork while ensuring injured individuals get the continuous quality care they deserve. IWP needed to hire people with persuasive skills for their Inside Sales Department responsible for making calls to injured individuals. To address this issue, IWP turned to The Cornerstone Group. Since 1997, The Cornerstone Group has helped organizations and their leaders improve performance through better alignment of people and strategy. To help IWP hire the right people, The Cornerstone Group recommended The Predictive Index Behavioral Assessment, an effective, simple, and easy to use science-based assessment that provides an accurate depiction, or pattern, of a person’s core drives, and therefore insight into their needs and behaviors. The Inside Sales Department, which uses the PI Behavioral Assessment more than any other department, has significantly less turnover than other departments.